Potholing equipment in Brisbane, Gladstone, Gold Coast, Sunshine Coast, Melbourne, Adelaide, Sydney and Wollongong regions. Incorrect signage; Although some utility companies will attempt to place signs indicating where their lines are, they aren't always accurate. Significant hazards; Disrupting gas lines can lead to toxic fumes and contact with electrical lines may result in electrocution. By potholing utilities, we prevent such incidents. Unexpected expenses; You and your contractors are likely operating to a tight budget. By preventing utility damages, we also stop unexpected expenses. 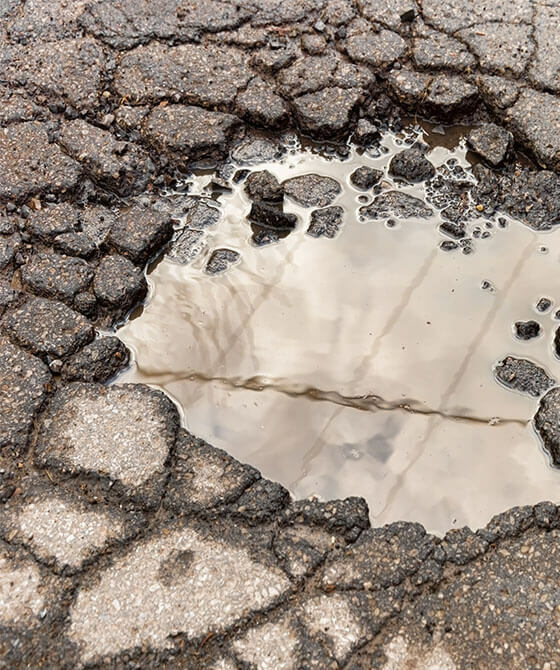 When you choose to pothole with VAC Group, you're in the hands of a highly-skilled team that'll maintain safety. Why choose VAC Group when you need to pothole? From Brisbane and Sydney through to Melbourne, we're adept at operating in multiple areas that can present logistical challenges. The VAC Group team has been in operation since 2000 and we've continuously built on our experience and innovative approaches since then. We want you to join the hundreds of happy clients who use us each year. Whether you're working on a project in the commercial or residential sector, finding the right hole digging services is crucial. When in-depth digging and drilling become a part of your efforts, turning to a team that's adept at potholing will ensure your success. Serving areas such as Brisbane and Sydney, we at VAC Group can meet all your potholing needs. At VAC Group, we tackle pothole jobs in locations such as Gladstone, Adelaide, and beyond. Using our potholing services, you'll avoid any unnecessary job delays and enjoy the successful, on-time completion of your project. With a team of more than 150 staff and 120 machines, our approach to potholing utilities is accurate and all-encompassing. After performing an assessment of your site, we will work with you to provide the most efficient hole digging services that will best benefit your project. Naturally, fast response times and your team's safety are paramount. With technicians spread throughout Melbourne and our other service areas, we can respond quickly to your potholing efforts. Our all-Australian team is proud of their ability to tackle tougher materials in a non-destructive manner. Regardless of which landscape you call on us to serve, we'll use potholing facilities that break through hard rocks, rigid stones, and compacted soil. After doing so, we'll use our potholing equipment to identify hidden lines and utilities. After which we will provide you with a detailed report, so you can proceed with your construction efforts.